1st prize in the invited high-build workshop process with 9 participants. 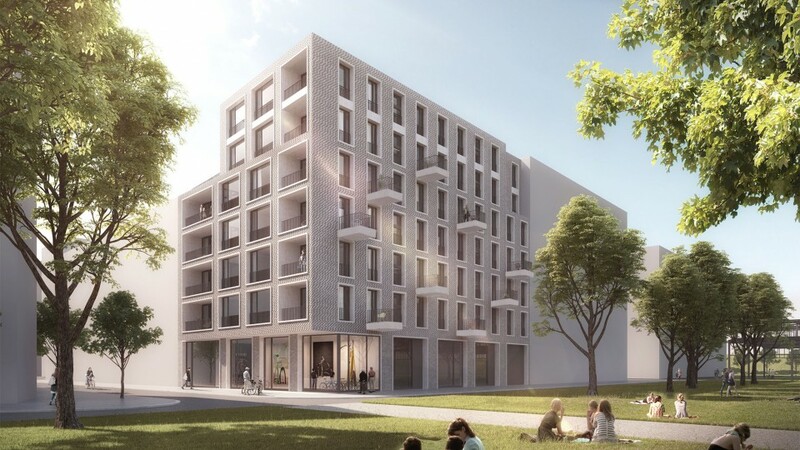 For the new Mitte Altona area in Hamburg, a seven-storey building for a joint building venture is planned on one of four construction sites on an existing block perimeter development. 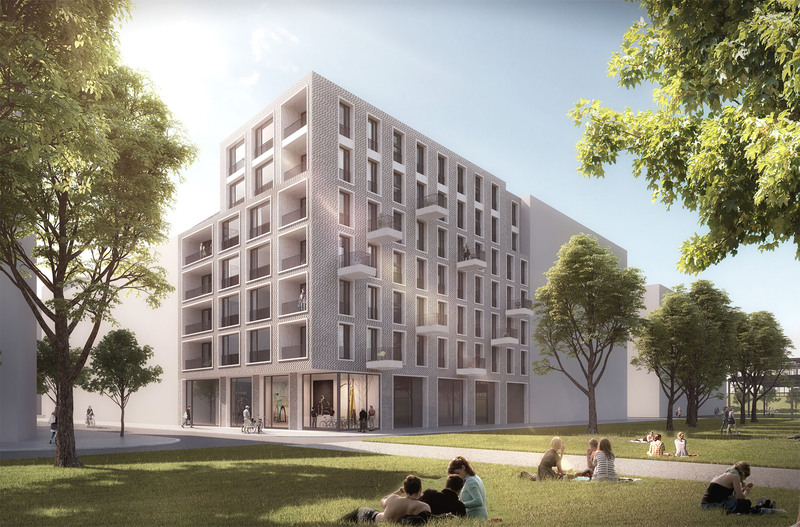 The design for the northern site adjoining the public park continues the style of the surrounding neighbourhoods with its strictly arranged perforated facade, heterogeneous brick surfaces and its sophisticated structure. Subtle contrasts are created through recesses and inclined surfaces, accentuating the otherwise clear proportions and calm design of the overall building. On its western side, the building faces its neighbours with a small two-storey recess. The exterior of the building to the east is characterised by a slight rotation of the upper floors. The resulting sloped eastern facade opens from the first floor up towards the south, thus ensuring optimal lighting of the building. At the same time, a canopy effect is created by the slight cantilever on the ground floor, providing shelter for and highlighting the entrance to the building. The open design of the ground floor and its large windows open the building up to the park, creating a smooth transition to the public space. All apartments, around 30 residential units in total, are planned in accordance with DIN 18040-2 requirements. The apartment sizes tend toward the upper size limit permitted within IFB guidelines.